Bob Lum’s first AXIS lock design embodies strength and smoothness. 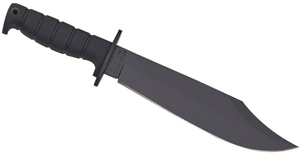 It features a 3.45″ blade made with D2 tool steel and an AXIS lock mechanism. 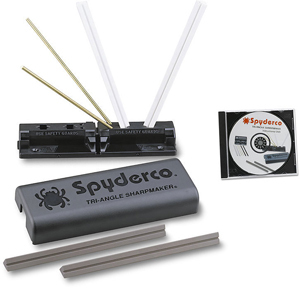 The modified clip point blade has ambidextrous thumb-hole openers. Handles are black carbon fiber with black 420J stainless steel liners. This is a beautiful design from one of the great all time knife makers, rest in peace Bob. 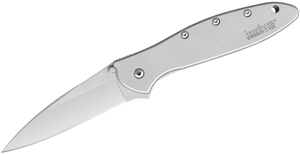 The Mini Onslaught is a smaller version of the 2010 Academy of Excellence Knife of the Year. Shooting Industry Academy of Excellence presented the award to Benchmade Knife Company for the model 741 Onslaught. The awards were presented at the Shooting Industry Masters event on July 23rd in Grand Island, Nebraska.